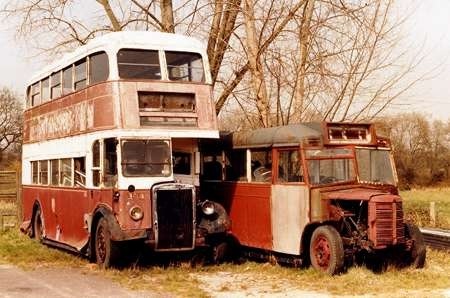 The earlier photo I posted, of a Portsmouth Leyland Cheetah, surrounded by Daimler CWA6/Duple double-deckers, were neatly bridged by the delivery of 10 Bedford OWB’s (1 in 1942, 7 in 1943 and 2 in 1944). All had Duple bodies, save 162 and 163, bodied by Mulliner, more aligned with bodying sleek, expensive Rolls-Royce’s and Bentleys! I have to say that I never discovered any real reason for such little buses being allocated to CPPTD. Portsmouth’s bus services were already severely curtailed for the duration, with buses being kept away from the seafront and a greater reliance on trolleybuses than hitherto. They lent out double-deckers for periods. Upon delivery, at least some of them were painted grey, but whether this was through lack of maroon livery paint or the proximity of sensitive sites is debatable. Whatever they did during the war, they led uneventful lives afterwards on quiet routes, although I have seen photos of them going along Commercial Road, the main shopping centre, which suggests that they were called out to perform on busy routes from time to time. These small, but stout-hearted vehicles were all withdrawn in 1962-63, with 163 going in 1963. 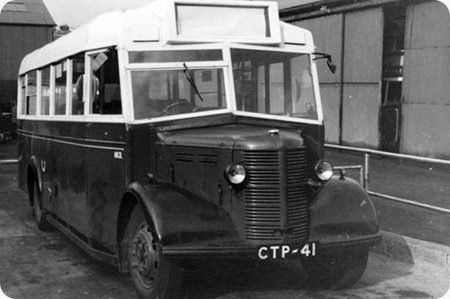 One (170 – CTP 200) survives in preservation. One quirk unique to these buses were the number plates, which always had a tilde between the letters and numbers! 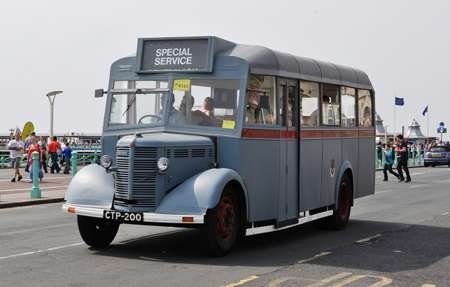 Super picture of that wonderful wartime bus, the OWB. 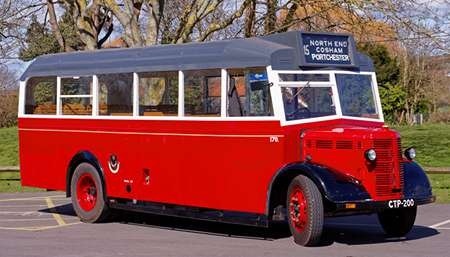 Portsmouth must have been faced with extra wartime naval personnel transport duties to receive these, I would think, but they were regarded as "standard 32 seaters" in the wartime allocation system, being the only new single deckers available. I well remember riding on Ledgards, and White Bus (Bridlington) OWBs, and the ring of their high pitched petrol engines and gear change lingers in my ears to this day. Several other municipal fleets received OWBs, Bournemouth and Belfast coming to mind. Perhaps extra wartime duties were the common feature. What a lovely picture of the OWB! In the early post-war period, they were painted standard red/white, and with grey roofs. 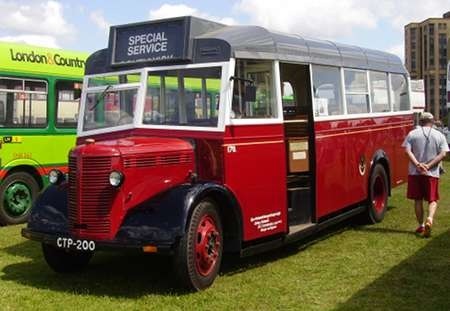 They were also given upholstered seats from withdrawn vehicles (probably the TSMs, Condors and TD1s, reducing to 27 seats. One of their uses in the fifties was on mileage balancing with Southdown, and I have read that they were especially useful on the Havant / Hayling routes because they could safely use the Hayling Bridge. Their use became much more intense in later life, as in September 1958 the Corporation introduced a PAYE route (22) between Lower Wymering and Upper Drayton. I well remember this as this was in my earliest days of bus enthusiasm, and the route was just one road away from my home! At peak periods they could be well-loaded, the supposed "eight" maximum often being exceeded. I remember squatting on a bodywork protrusion opposite the driver in the space in front of the front entrance, and the back of the bus was invisible due to the crowd on board! For this work, they were further down-seated to 26, to provide a luggage space for pushchairs. The picture could probably be dated quite accurately by anyone who still has records. It has a white roof instead of grey, (repaints to white roofs for the fleet were carried out 1959-1961), but still has a semaphore trafficator (on the pillar behind the driver’s window). Later (c. 1962/63?) the fleet were given flashing trafficators, those on the OWB’s being fitted below the window line. 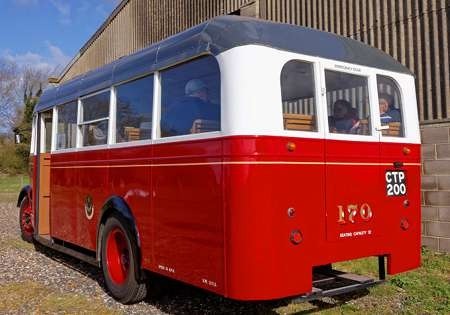 My class-mates and I who followed this interest used to keep detailed records of when we first saw a bus with a white roof instead of grey, flashing trafficators fitted, and re-seated vehicles (both single and double-deck vehicles). Unfortunately my own lists have long disappeared, probably consigned to a dustbin. I was involved for quite a while in 1967/8 in work on the preservation in Leeds of CTP 200. One particular job that I remember doing was to reconstruct the destination blind box which had become badly corroded. Sadly, due to domestic circumstances at the time, I was no longer among the group who eventually put the splendid little vehicle back on the road. 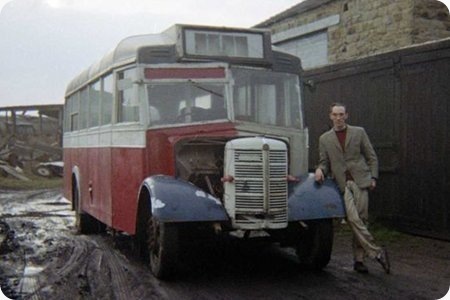 I need hardly remind those who know me that I am an ardent admirer of the Bedford OWB/OB – a model which is a modest and unpretentious but stout hearted little trooper if ever there was one. Re OWB’s later life. Michael Hampton is quite right re their late use, but I remember their use for the start of the PAYE services between Wymering and Highbury Estate whilst the new Leyland single deck, twin entry/exit, buses were awaited for delivery and service. 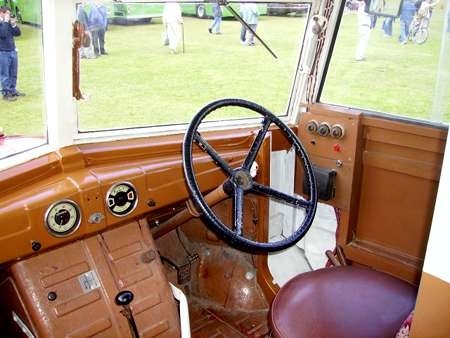 The doors were operated by a rod linkage between the driver and the doors! !